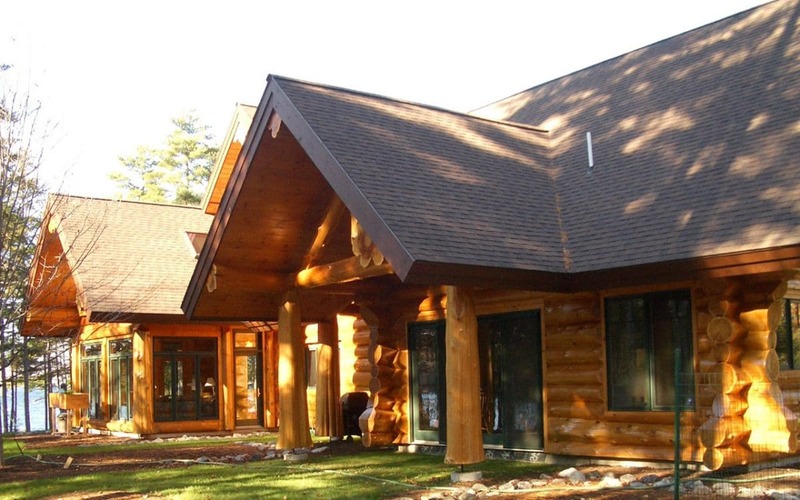 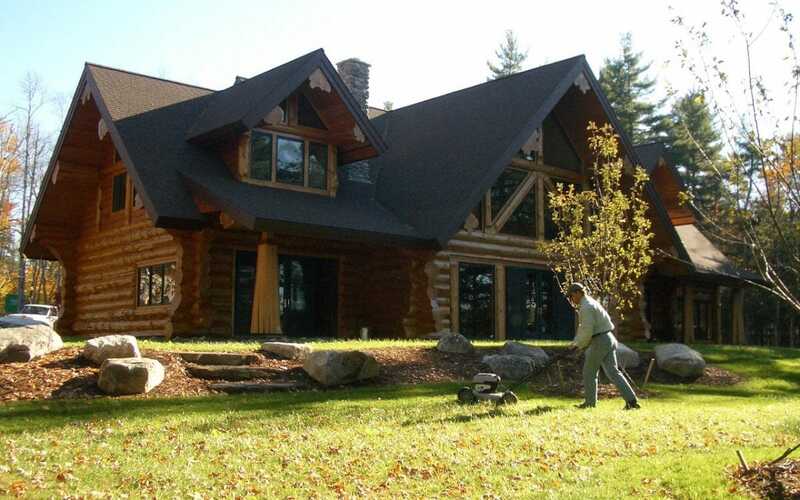 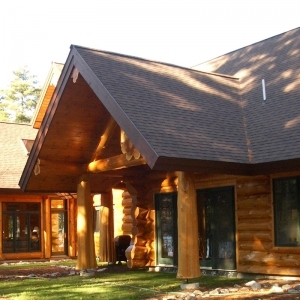 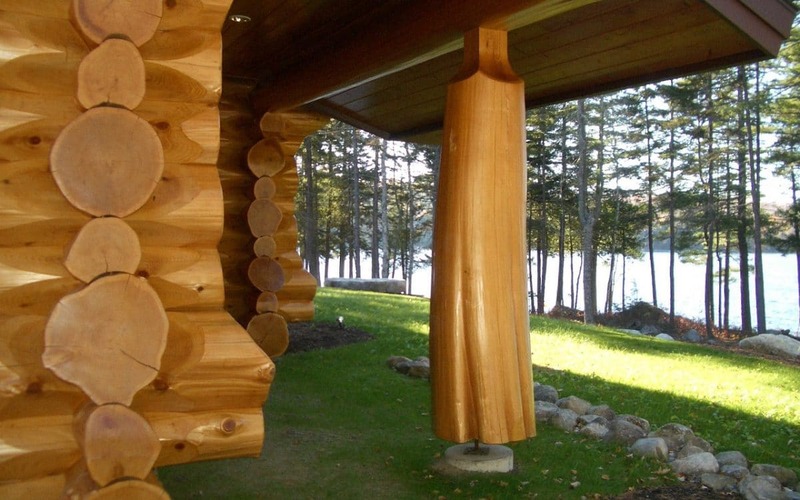 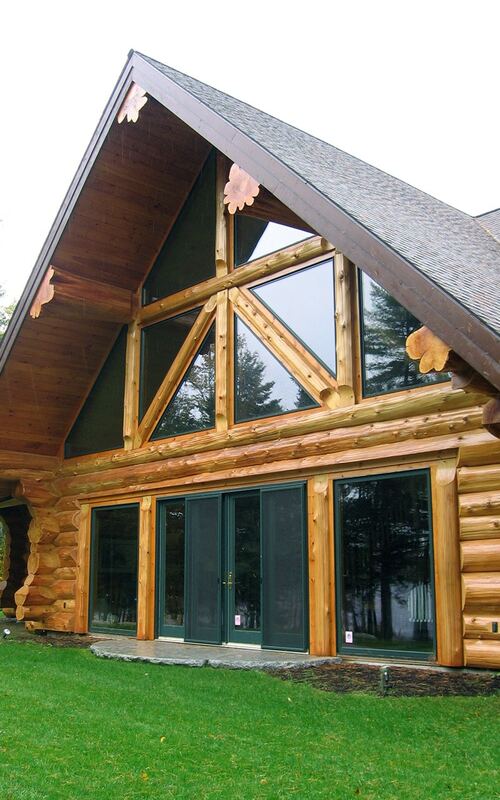 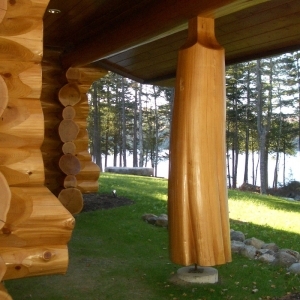 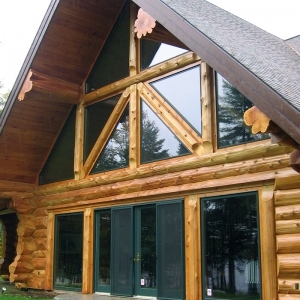 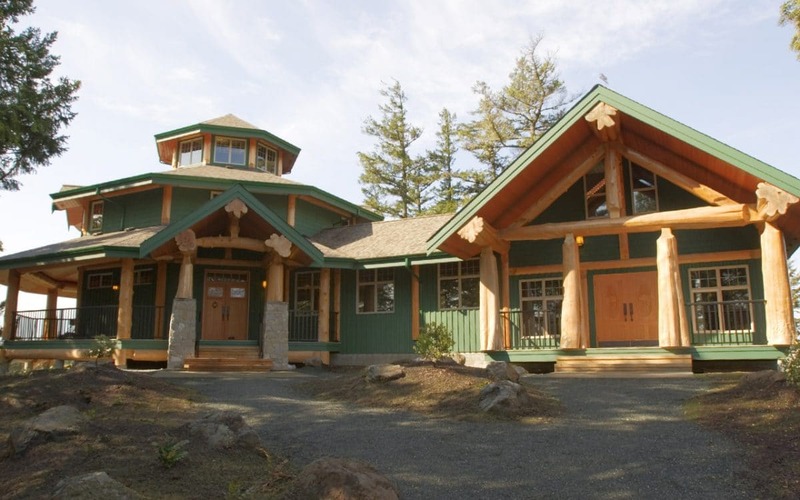 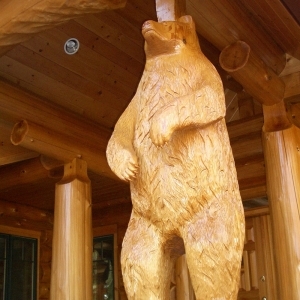 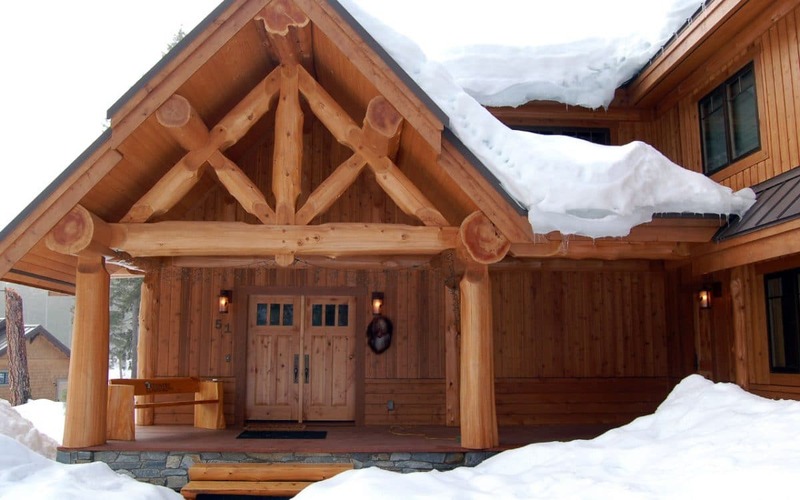 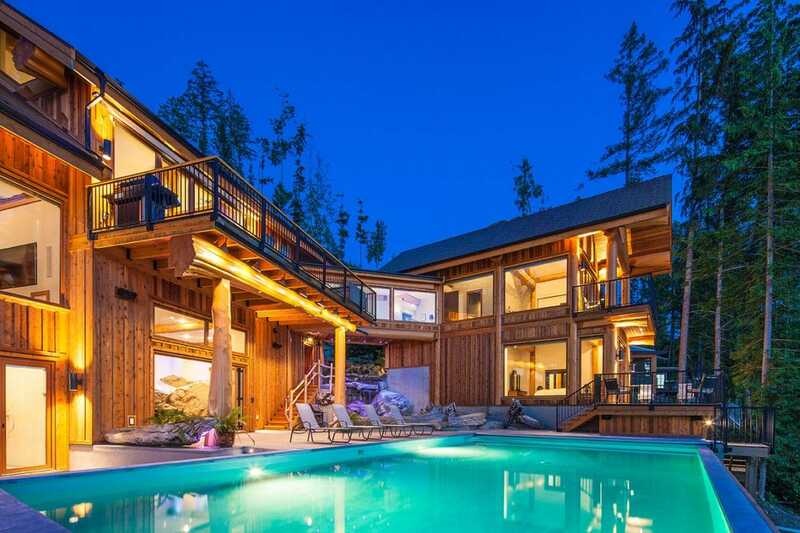 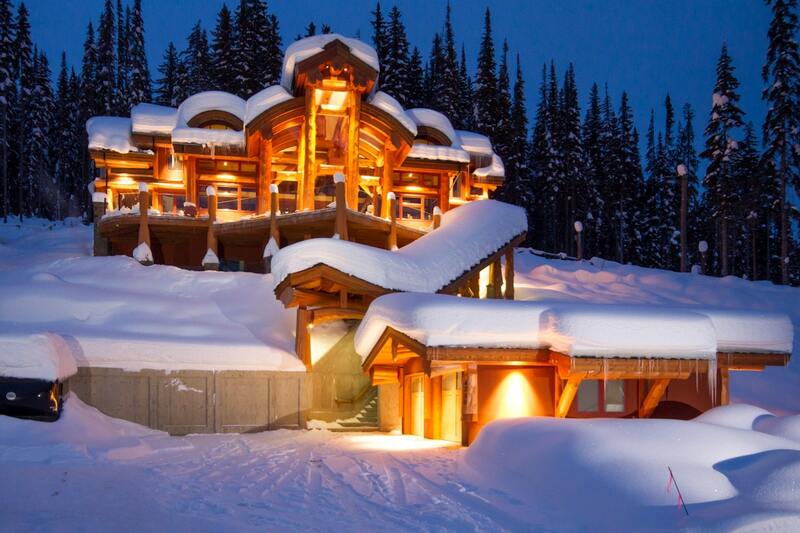 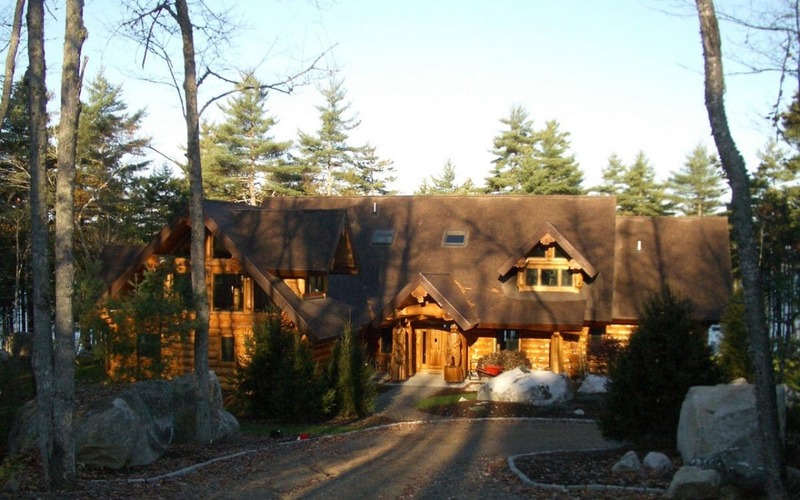 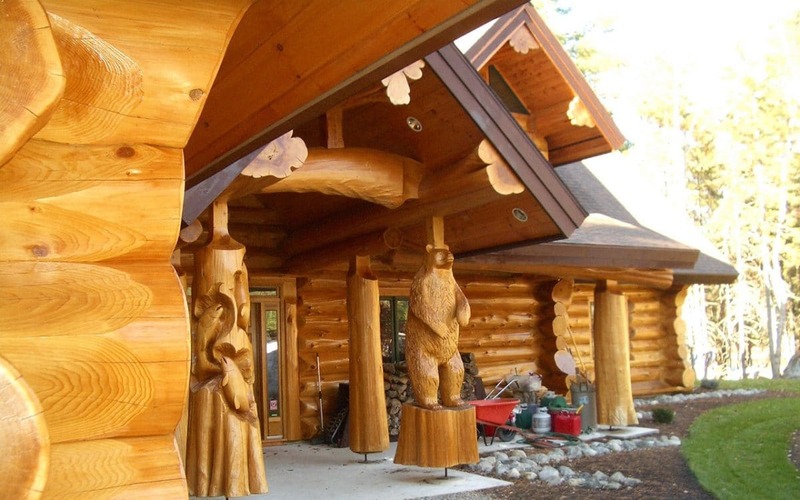 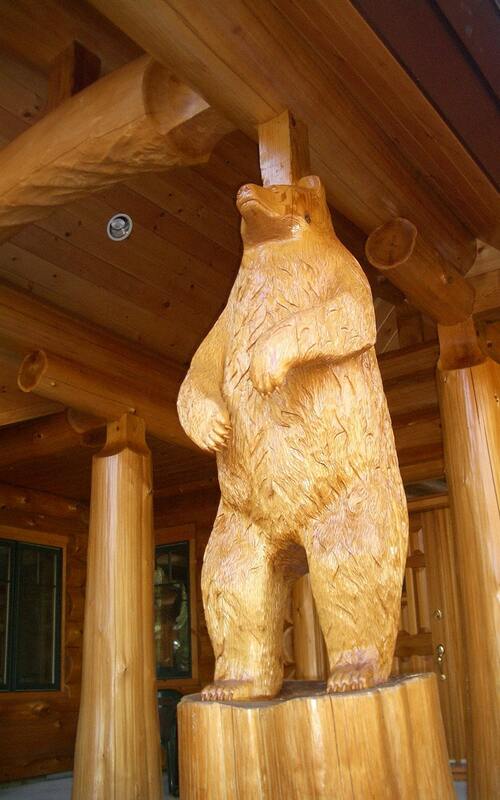 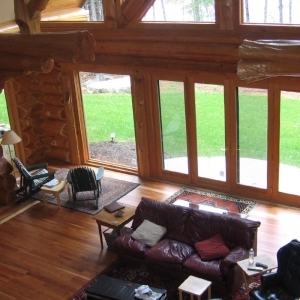 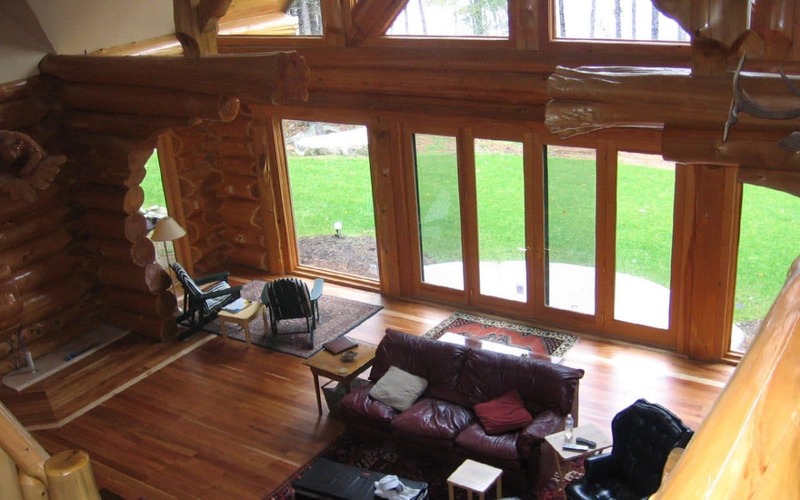 Built on an island on a lake this amazing log home in the state of Maine is one of the grandest full scribe homes West Coast Log Homes has built. 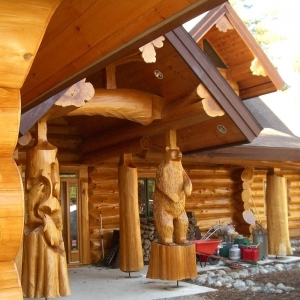 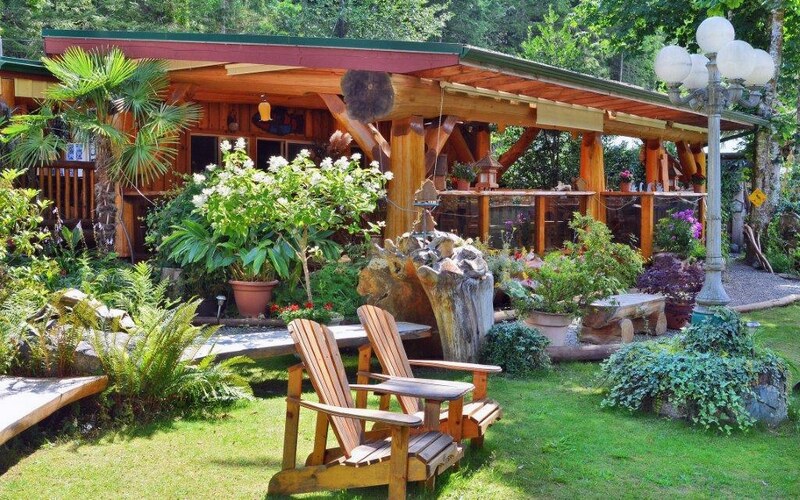 With decorative carvings gracing the living room and a fireplace carved from a solid piece of rock this home is truly one of a kind. 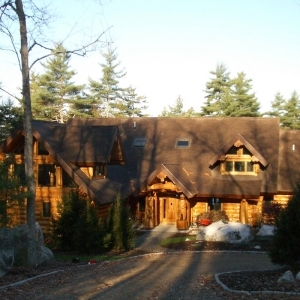 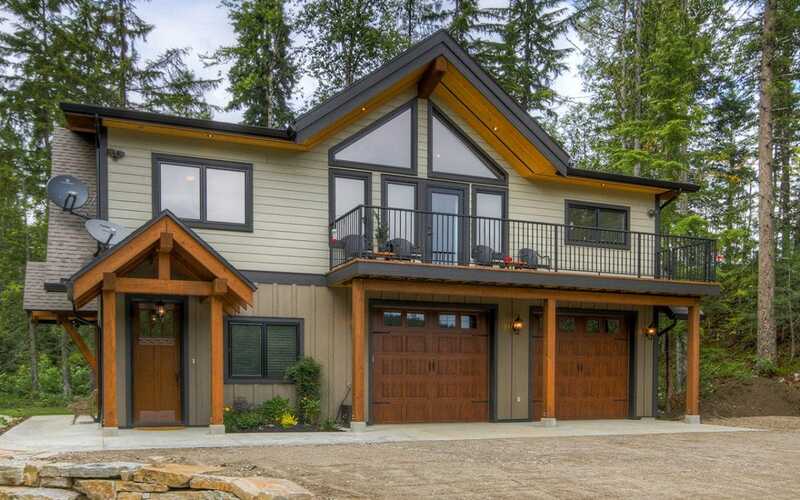 This family retreat is one of several homes built for the same family.